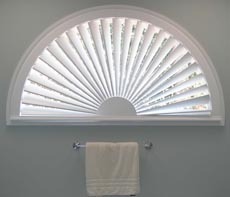 Your source for custom interior shutters, blinds, shades and more. We offer the highest quality products from the industry's leading manufacturers and take pride in providing exceptional service and support in attending to your window treatment needs. Now is the perfect time to do some Spring cleaning and decorating. Upgrading your window treatments is a simple way to give your home a fresh new look for Spring. Let Sunrise Shutters help revive your home and save you money - you will be glad you did! *Price varies with size. $75 is for standard size 32" x 60". All other sizes available. We bring the store to you, so you can view sample products in your own lighting and décor. An expert will discuss options with you, measure your window openings, and provide a free estimate. Sunrise Shutters offers an assortment of Faux Wood/Synthetic Shutters, including Graber®, Polywood®, and Norman® Shutters. Polywood® Shutters give you the rich look of wood shutters without wood's inherent problems. Polywood® is an engineered wood substitute that performs better, lasts far longer, and insulates up to 70% more efficiently than traditional wood. Polywood® comes with the industry's best warranty, won't chip, crack, warp or split, and is almost impossible to break. 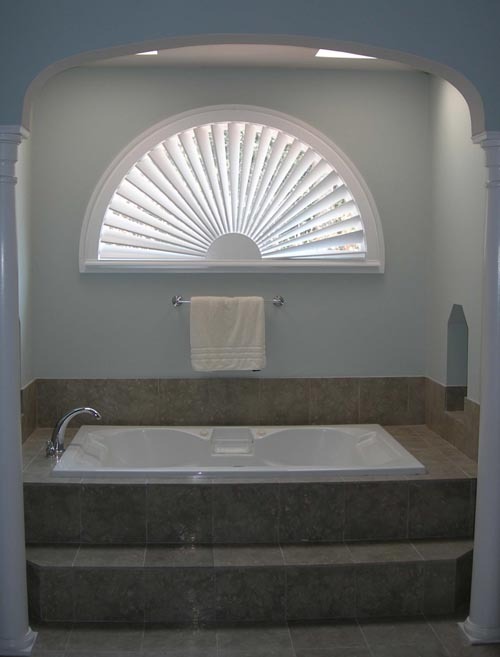 It is moisture resistant, so you can put Polywood® Shutters in moist and humid settings, like bathrooms and kitchens. Polywood® is also fire resistant, impervious to termites, UL tested and UV stabilized and has a special baked-on UV coating, so it will never discolor. Thus, Polywood® Shutters are the ultimate choice for beauty, durability, and energy efficiency. ● 100% made in the USA. Lasts longer than any other window treatment, including other shutters, blinds, shades, curtains, drapes, etc. ● More energy efficient than any other window treatment: up to 70% more than wood shutters and 1600% more than aluminum mini-blinds. ● ECO-friendly: made from a recyclable wood substitute. ● Polywood® is the only shutter that qualifies for the Federal Energy Tax Credit! The quality of the Norman® Composite Shutter is unsurpassed. With all the standard benefits over traditional wood shutters, meticulous attention to detail, and flawless finish, these shutters are an excellent option for the discerning customer. Norman® Shutters has been a manufacturer of window coverings for over 30 years and take great pride in exceeding customer expectations with master craftsmanship, incomparable beautiful, competitive pricing, and distinctive products. Their extensive selection allows you to find the ideal match for your windows, your home, and your life.